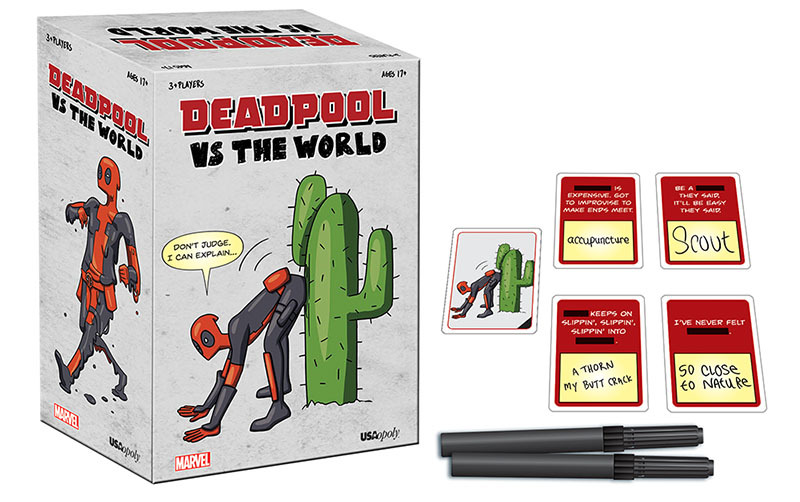 If I asked you what card game Deadpool was most likely to play, the smart ones among you would almost certainly say Cards Against Humanity. The blend of their humour is pretty much a match made in heaven, so it was only a matter of time before the two pillars of pop culture united in perfect harmony. The game, called ‘Deadpool Vs The World’ comes from USAopoly, a games company who specialise in custom twists on classic games. Speaking to EW, the company explained a similar set up to CAH, in which the ‘WTF’ card is flipped over and players must select a wet-erase ‘Caption’ card from their hand to fill in the blank. Winning requires players to tread outside of their comfort zone and fill in the blanks of cards that elicit inappropriate responses, ensuring outcomes of surprise, shock and outbursts of laughter. The game is hitting stores this summer, costing $24.95 – it’s the perfect way to spend a summer’s evening with friends after popping to the cinema to see Deadpool 2. 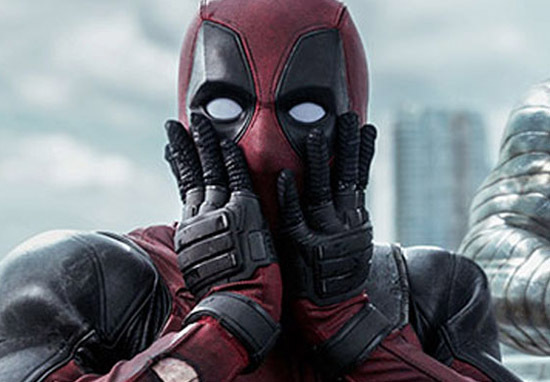 In case you’ve been living under a rock, Deadpool has become a cultural phenomenon pretty much unmatched in the modern zeitgeist, so it was no surprise when Fox studios wanted to capitalise on the adoration and announced a sequel to the film. 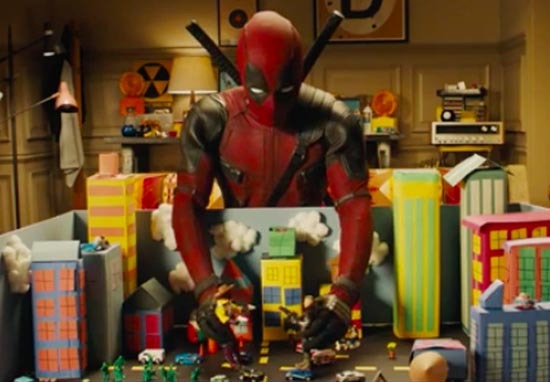 I think Deadpool 2 will comment on anything that’s happening in movies today especially in superhero movies. The sort of glut or saturation of these movies and the proliferation of sequels is definitely something we’ll play around with. Deadpool isn’t the only one who has been getting busy recently; Ryan Reynolds has also been upping his output on social media. Perhaps the best thing he’s posted so far is the incredibly touching series of pictures of himself – in character – as Deadpool, with children from the Make A Wish Foundation. The kids came to the set of the upcoming Deadpool 2 to meet their hero and the pictures are incredible. Deadpool kicked cancer in the taint, but these kids do it for real every day. These foundations make dreams come true for a lot of super-brave kids. They also make dreams come true for parents, who just wanna see their kid smile. People absolutely loved the message and everything about the post, it kind of proved just how great Ryan Reynolds is, not that we didn’t already know. Yet as always, there was one naysayer who couldn’t help but point out Deadpool is an R-rated movie and as such, children shouldn’t be watching it. Yup. Deadpool is Rated R. If my kid went through a fraction of the sh*t these kids deal with daily, I think they can watch whatever they like. That’s just my .02 cents. Incredible. There’s not really any comeback to that.